Karrie Hammond-Collins, a recent graduate of the MPH program. Only a year after graduating from the Master of Public Health (MPH) program at the U of S School of Public Health (SPH), Karrie Hammond-Collins has taken on the challenging and rewarding role of manager of public health services for the Prairie North Health Region in Saskatchewan. "I really wasn't expecting to be in a supervisory role right after graduation," said Hammond-Collins, who completed the program in 2014. "Really it was just an amazing opportunity that would really kick start my career and allow me to apply what I've been learning in my masters." Climbing the professional ladder has been quick for Hammond-Collins, which she credits in part to the high standard of professional training and strong connections she made with faculty, fellow students and health professionals while studying at the SPH. As a graduate of McGill University's nursing program, Hammond-Collins was seeking a master's degree that would give her hands-on experience during the program. 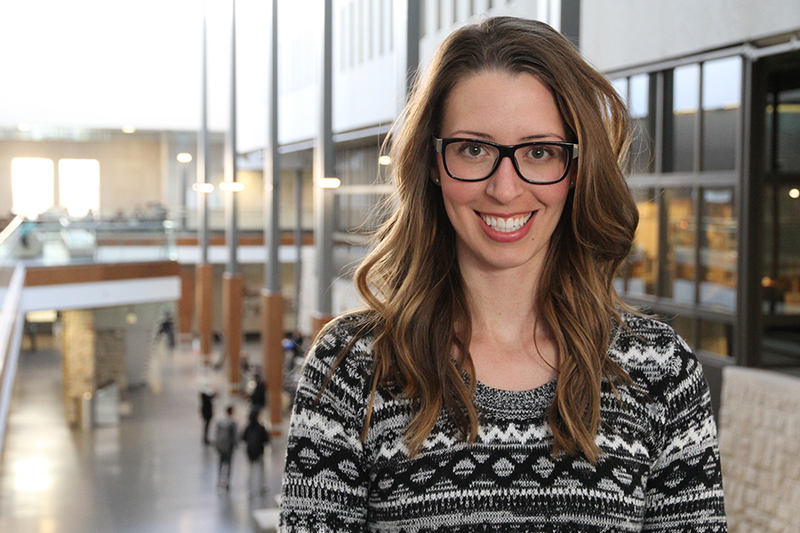 "What pulled me to choose the U of S was a combination of the excellent program they offered and the practicum. Having hands-on experience during your studies is really important to prepare you for the work force," she said. See more at the School of Public Health website.